Sony has announced that it is to launch a standalone streaming device – the SMP-N100 – which has access to Bravia Internet Video and can connect to DLNA-friendly devices. 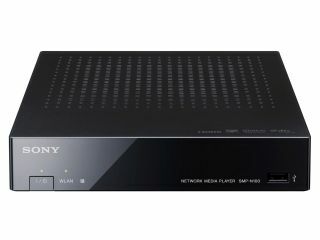 According to Sony, the SMP-N100 offers instant online access to an unparalleled range of entertainment services such as YouTube, catch-up TV platforms and movies and has Wi-Fi and DLNA compatibility to stream all of your AV content. When it comes to file compatibility, it will be able to stream DTS 2.0+Digital Out and Dolby Digital Plus, AVCHD, DivX HD, Xvid and MKV. Couple this with Full HD 1080p video support and it is looking likely to be a powerful machine. The SMP-N100 also comes with access to Qirocity, Sony's Video on Demand service, which brings HD movie streaming, and you will be able to tap into BBC iPlayer, Demand Five and Lovefilm through the set-top. Those who have a PS3 will be familiar with the machine's menu screens as it uses the same XrossMedia Bar as the PlayStation. And when it is launched, there will be free Android and iPhone apps available to control the machine – so wave goodbye to the remote control. The SMP-N100 looks set to take on the might of Apple TV and also seems to pre-empt the upcoming YouView service, which is all set to offer on-demand content through a set-top box. Sony has been vocal about how it has reservations with YouView (formerly Project Canvas) and with the launch of this device it is now easy to see why. The Bravia Internet Video enabled SMP-N100 has a UK release date of October, with pricing to be around £120.